Flowers are one of the best representations of nature’s creativity. Available in hundreds of shades, shapes, and sizes, a single flower or a bunch of beautiful blooms can instantly brighten up a room. 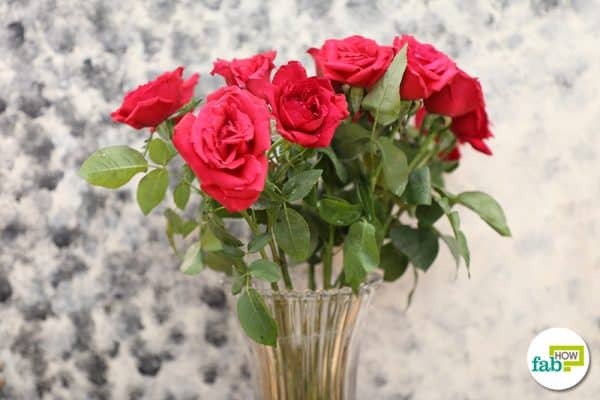 Whether it is a beautiful bouquet you’ve received on a special occasion (or from a special someone) or freshly cut flowers from your garden, you definitely want to enjoy their beauty for as long as you can. Unfortunately, fresh cut flowers do not last very long. It can be just a matter of days before they begin to wilt and wither. However, this does not mean you cannot add a few more days to their lifespan. Bacteria play a significant role in shortening the lives of cut flowers. They collect at the base of the stems and may end up clogging them. This makes it harder for the stem to absorb water and nutrients. As a result, your flowers will droop and die. To ensure your flowers last longer, you need to provide them water and necessary nutrients as well as curb the growth of bacteria. 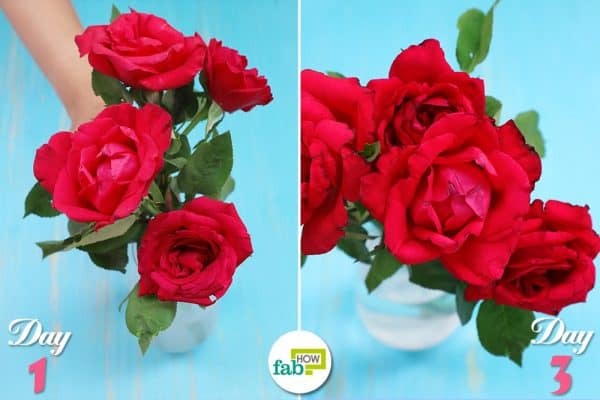 A few tips and tricks can help you keep fresh cut flowers from wilting for more than a week. 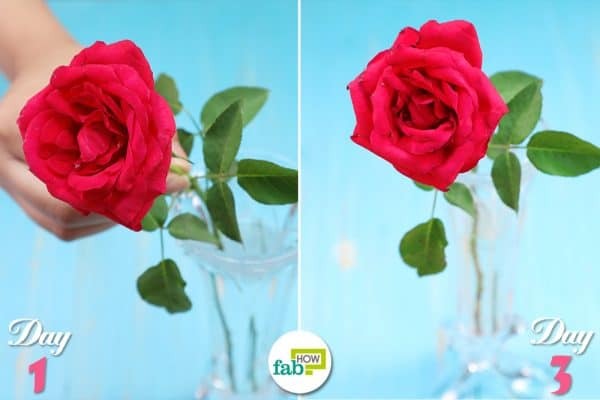 Although different kinds of flowers require different types of care, there are a few basic tips that work for all. Here are 10 easy tricks to keep flowers fresh for longer. Also, be sure to check out the tips at the end of the article. There is a reason why florists prefer keeping flowers in the refrigerator. The cold temperature slows down the aging of flowers, keeping them looking fresh for several days. Flowers coming from dry storage may have dried out stem ends. Often, air pockets develop inside these stems and hinder water absorption. Ice water is said to be useful in breaking through these air pockets and making way for the water to travel through the stem. Fill the vase with normal water. Place the flowers in it. Refrigerate until the water is cold. Now, place the vase where ever you wish to. Change the water with fresh icy water, if it isn't cold anymore. Alternatively, you can use ice water directly to place your flowers in a vase. But refrigerating them gives a better result. Bleach is a very potent disinfectant. 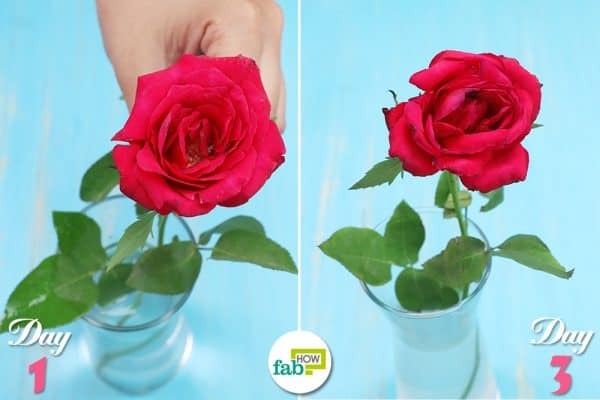 It will help eliminate bacteria on the flower stems as well as in the vase. The bleach will also sterilize the vase water and prevent it from becoming moldy and cloudy. 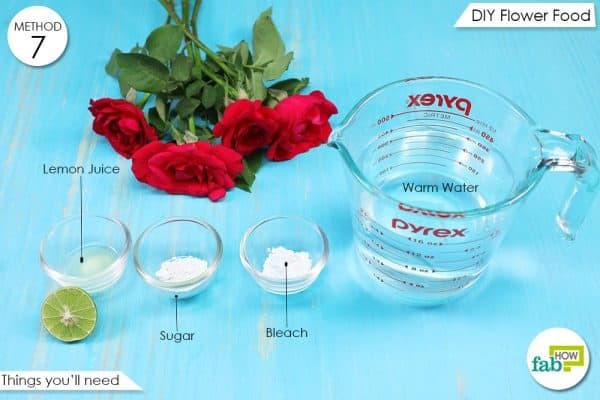 This is how a little bleach can help your flowers live longer. Make sure that the solution is not too strong. 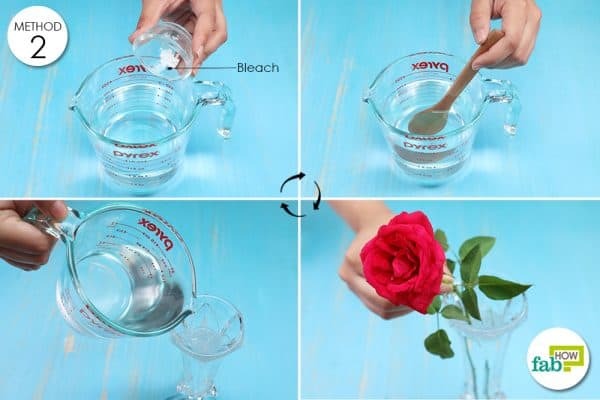 Using too much bleach may cause the flowers to wilt and wither. Add ¼ teaspoon of bleach per 1 quart of water. Mix well to form a solution. Pour the bleach water in your flower vase. Place the cut flowers in it. 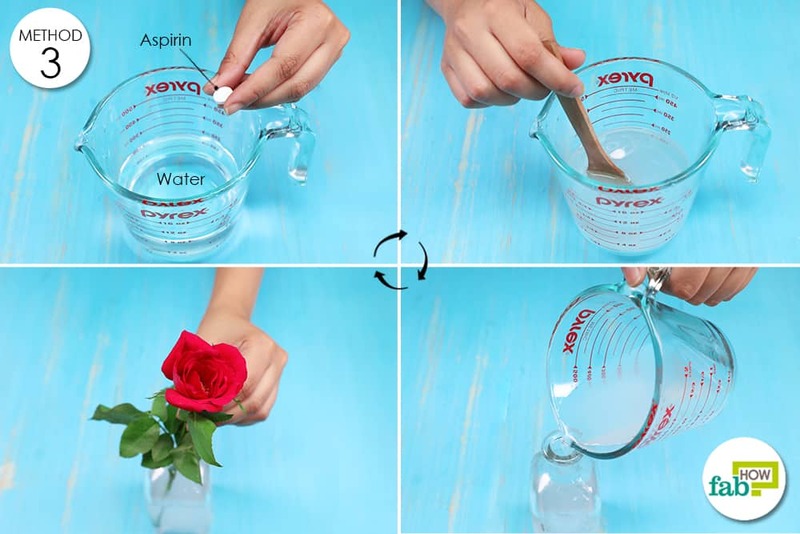 Adding aspirin to water will increase its acidity and aid the flow of water through the cut flowers. It will also curb bacterial growth. Add 1 aspirin tablet per 2 cups of water and mix well. You may crush the aspirin first to make sure it dissolves completely. Pour the aspirin water into a vase. Place the flowers in the vase. Stick to the given quantities. Overuse of aspirin may end up causing the flowers to wilt faster. It may also cause the stems to turn gray. 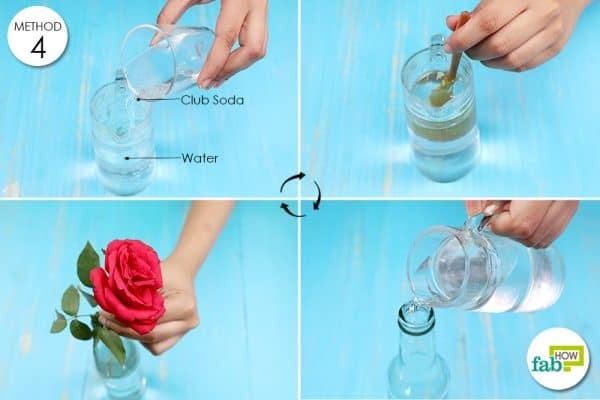 Here is a way you can use that leftover club soda you were about to dispose of! Lime or lemon-based sodas work pretty well in extending the life of cut flowers. 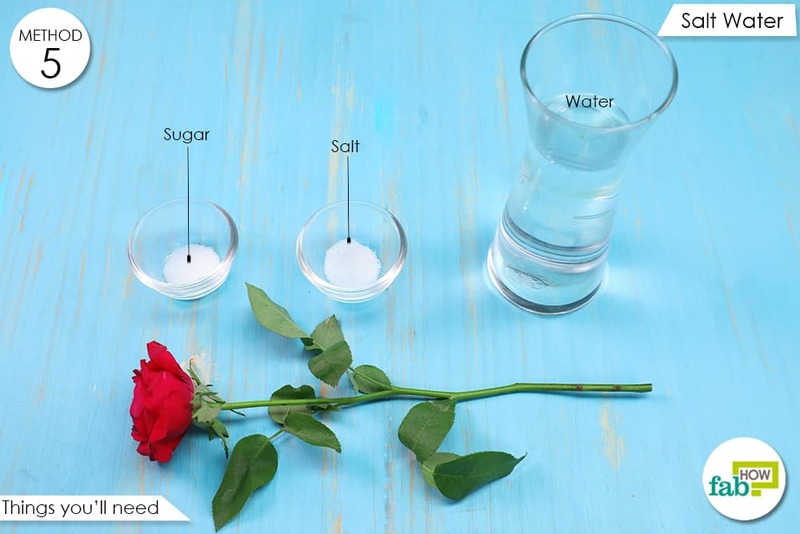 The sugar content in sodas provides the flowers with nutrients, making them smell sweeter and last longer. The acid content helps curb bacterial growth and supports the flow of water through the stems. Do not use diet soda for this remedy, as it lacks sugar. Colas and dark sodas should also be avoided, as they can be too acidic for the flowers. 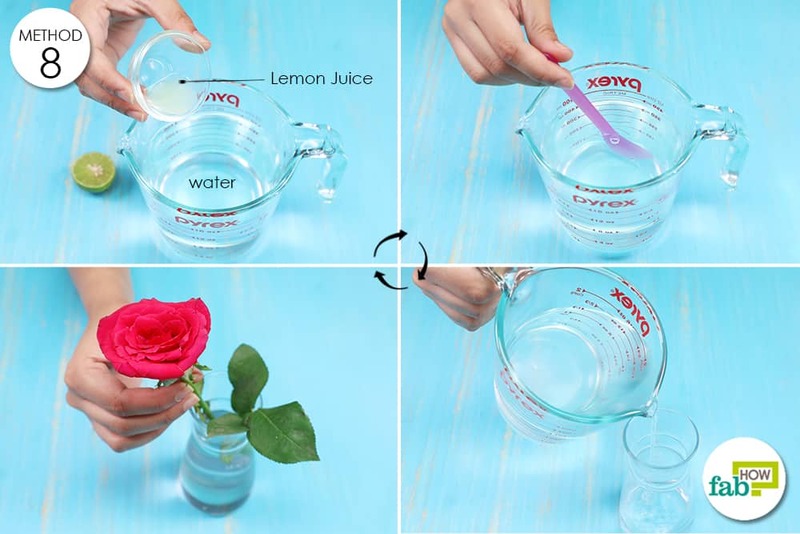 Transfer this solution into a vase or decorative bottle. Put the flowers in it. 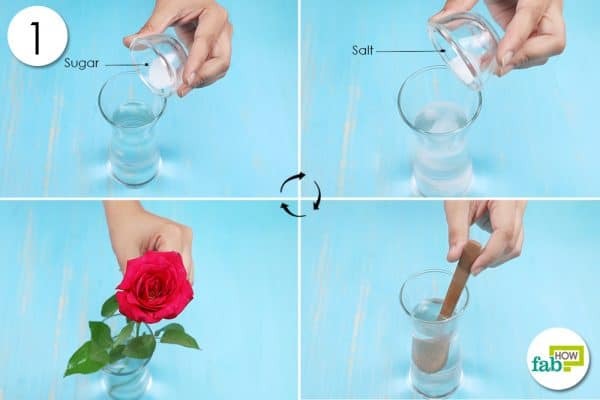 Adding salt to vase water is a popular technique that helps cut flowers stay fresh longer. The salt water keeps a check on the growth of bacteria. It also encourages water uptake by the stems. Also, add a littler sugar, a source of valuable nutrients for the flowers. Add ⅛ teaspoon each of sugar and salt per 1 cup of water. Mix the solution so that the ingredients dissolve in the water. Place the flowers in the sugar and salt water solution. Some swear by this unique remedy, while others discard it as an old wives’ tale. 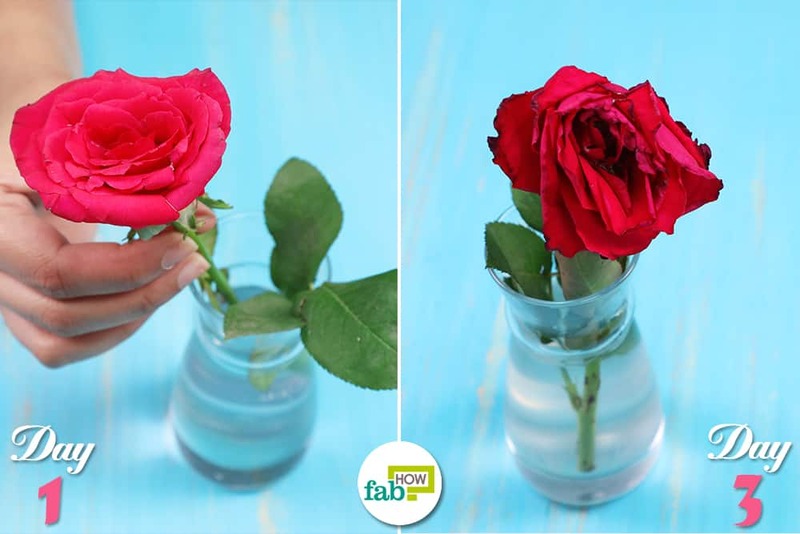 Apparently, placing pennies in the bottom of the vase will help keep your flowers from wilting for a longer time. The copper in the pennies acts as an antibacterial agent to curb the growth of bacteria and mold. 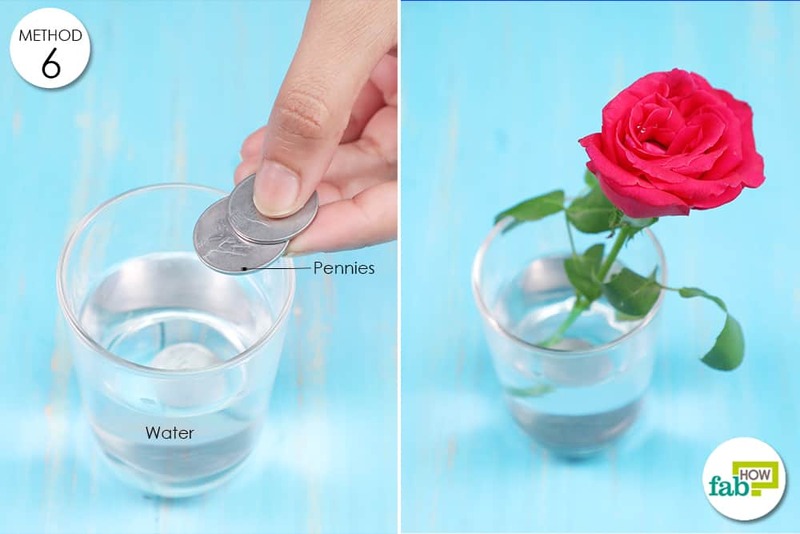 Put a few pennies in the bottom of a flower vase full of water. Bouquets often come with little packets of flower food that help extend the lives of the flowers. It contains all the essential nutrients the flowers need, helps curb bacteria buildup and maintains the pH level of the water. Fortunately, you don’t have to rush to a florist to find out the secret ingredients of this food sachet. Make your very own flower food using this simple recipe. 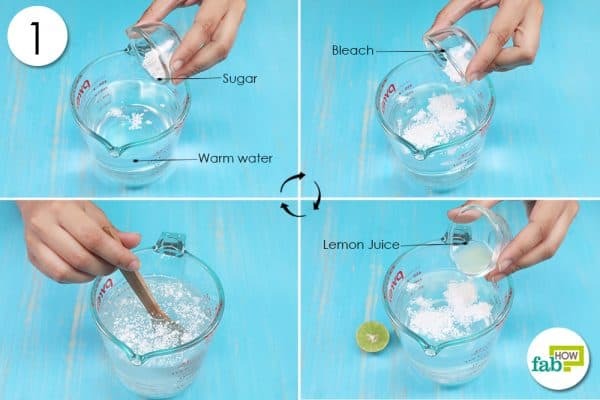 Add ½ teaspoon each of bleach and sugar to 2 cups of warm water. Add 1 teaspoon of lemon juice to it. 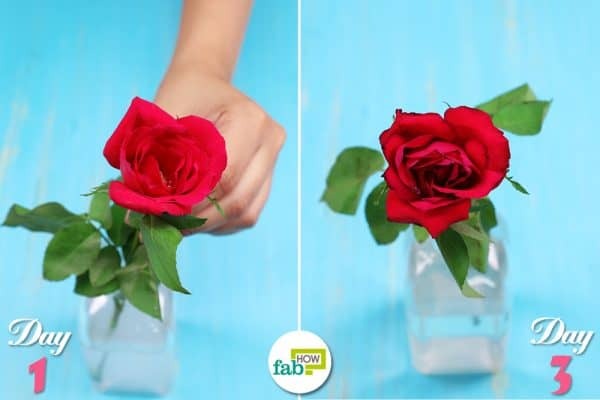 Transfer the solution into a vase. Perhaps the most easily available acidifier, citric acid can help add a few more days to the life of your beautiful blossoms. The citric acid in lemon juice helps control bacterial growth. It also helps increase water flow through the flowers’ stems. 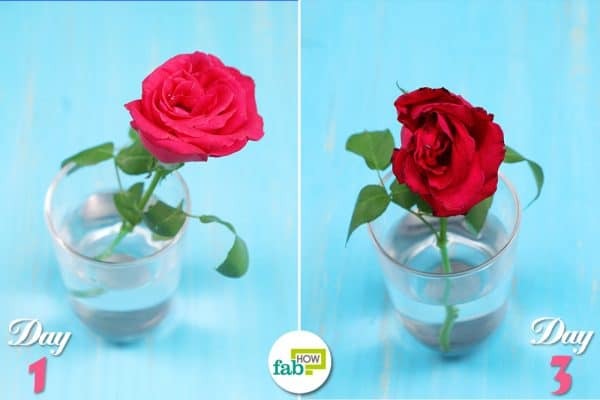 This increased supply of water (and also nutrients) enables the flowers to stay fresh for a longer time. Add 1 teaspoon of lemon juice per 2 cups of water. Stir to mix it well. Pour the lemon water into a vase. 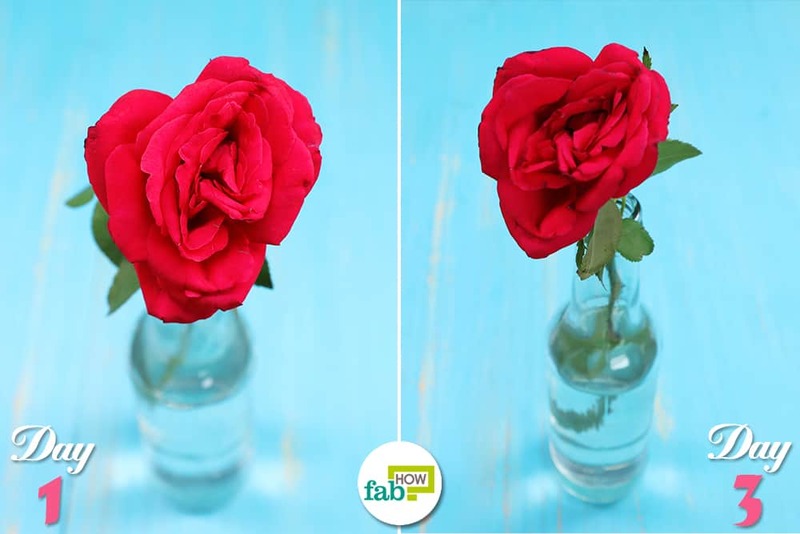 Adding apple cider vinegar to the vase water is another easy trick to keep flowers fresh for longer. 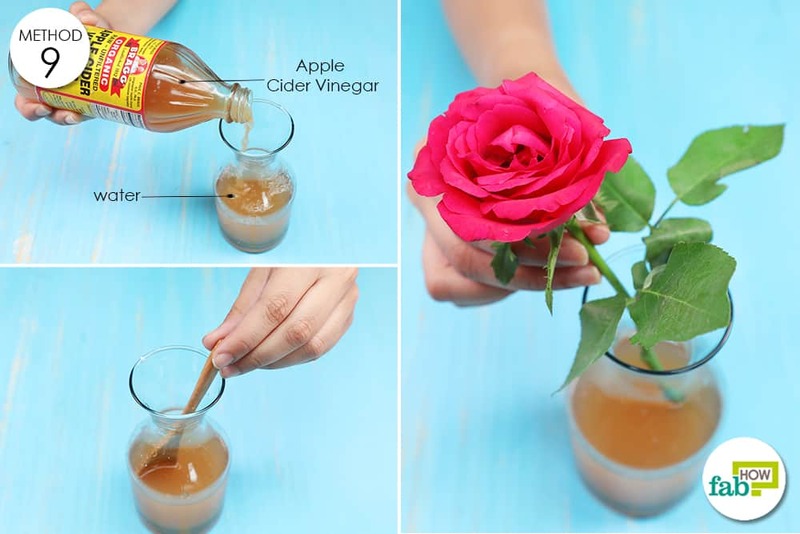 Apple cider vinegar is packed with antibacterial benefits. It will prevent the growth of harmful bacteria that cause the flowers to wilt and die. You may also use a mixture of water, sugar and apple cider vinegar. The sugar will act as food for the flowers, while the apple cider vinegar will help mitigate bacteria. 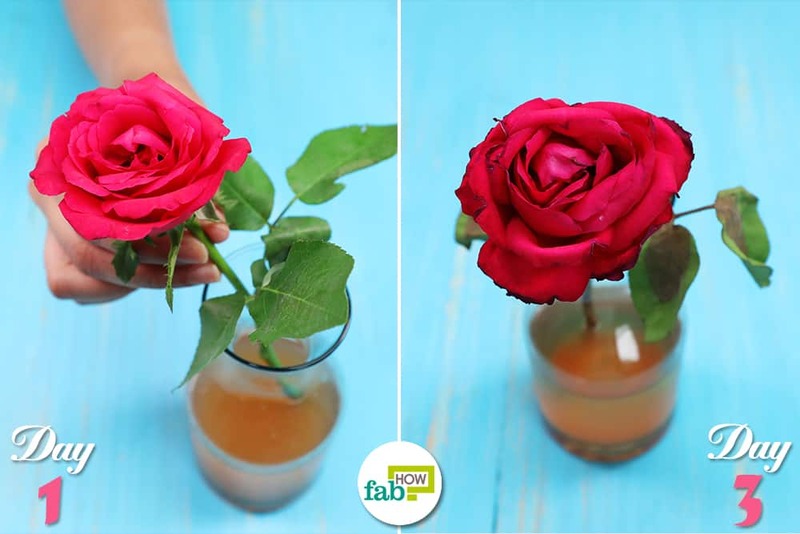 Fill the vase with 2 parts water and 1 part apple cider vinegar. Place the flowers in the apple cider vinegar solution. 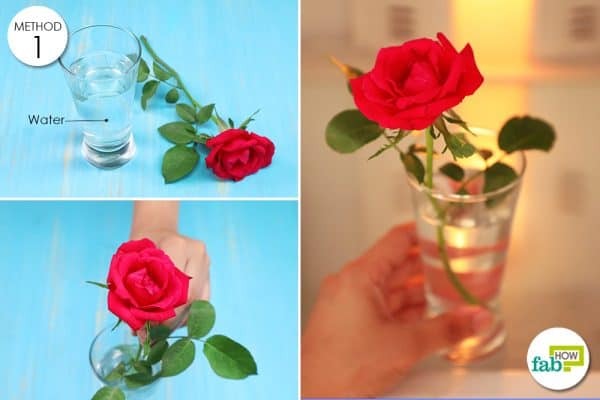 Change the vase water every day or every other day. 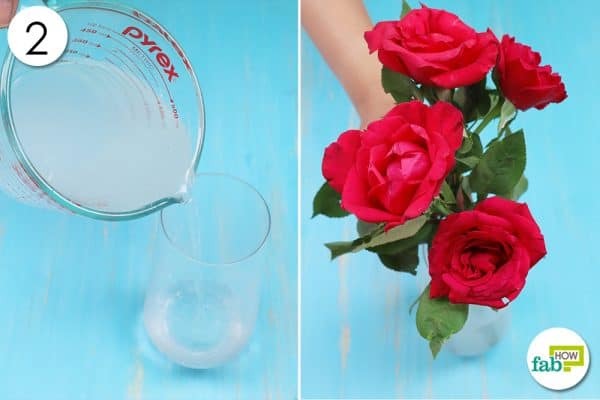 Clean and sterilize the vase regularly. Re-trim the flower stems regularly. You may do this every time you change the vase water. Keep the flower vase in a cool place. Direct sunlight may cause your bouquet to wilt and droop. Do not keep the flowers near heat-generating appliances. Ripening fruits release ethylene gas, which is not good for the flowers. Keep the bouquet away from fruits. Remove wilting flowers from the arrangement to protect the other flowers. 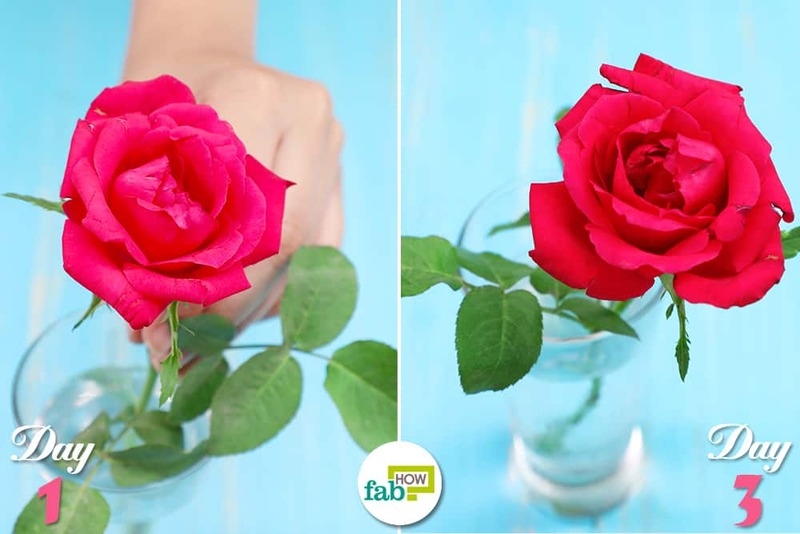 Another way to keep your flowers from wilting is by applying a light coat of hairspray on them. Repeat this remedy regularly. Make sure you do not have the can too close to the flowers while spraying. 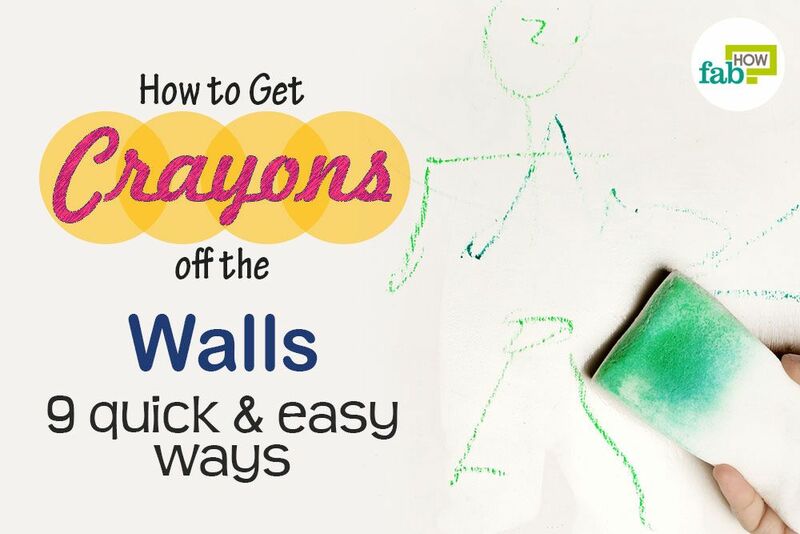 This method may not have scientific backing, but it has received a lot of positive reviews.